To effectively manage your rental properties, you need to have excellent documentation to make that possible. 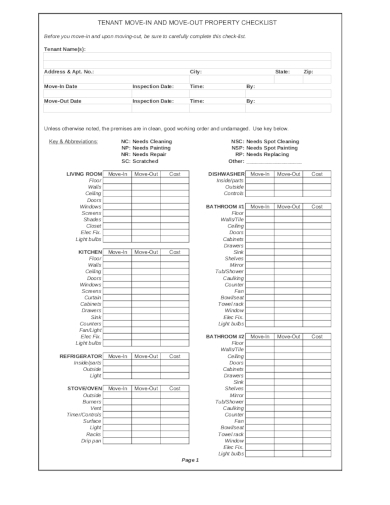 One document that can help you with that is a checklist, specifically a rental move-in and move-out checklist, that will guide you in effectively and thoroughly checking and recording the condition of your rental properties before and after tenants will move in and move out of your properties, respectively. 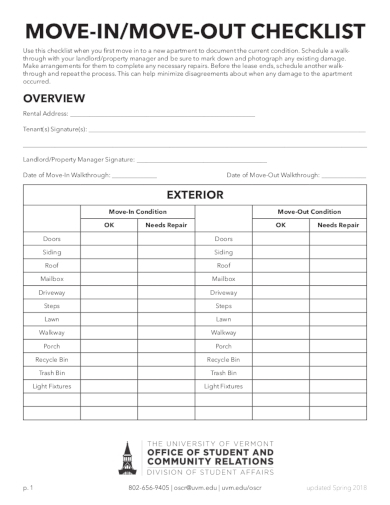 Be able to effectively itemize the important elements and contents of your rental and record the conditions of your rental properties using the rental move-in and move-out checklist examples and templates provided in this article. Maybe in a parallel universe, the tenants who would rent your vacant apartment units will move in and live there forever. However, the rental process would never work that way in the real world and this also means that you will be encountering more than one instances where people would move in and out of your rental properties. And because of that, you will really be in need of an apartment rental move-in and move-out checklist that will allow a smooth process between one tenant turnover to another. Tenant turnover processes can be a hassle on the landlords especially if he or she does not follow a certain system that helps him or her in making it more manageable. 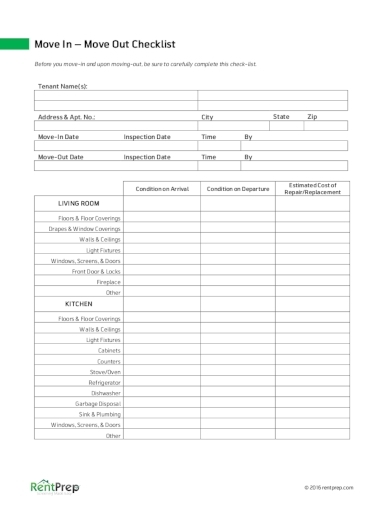 With that, we have provided you the most basic rental move-in and move-out checklist that you can use to finally create a system that makes the process of the tenant moving in and out better and more manageable. If you rent out your apartment or dormitory properties to students, tenant turnovers are something you will most likely deal with more than once a year. And since tenant turnovers can really be a hassle, you need to set up a system to make it easier to deal with. 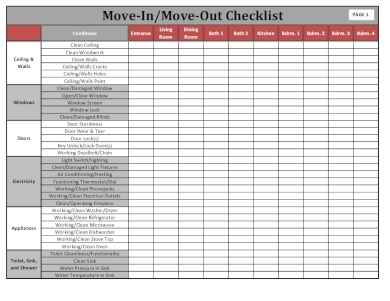 If you still haven’t made a system on how you can organize the moving in and out of your student tenants, then you probably need this campus move-in and move-out checklist that will surely be of great help. 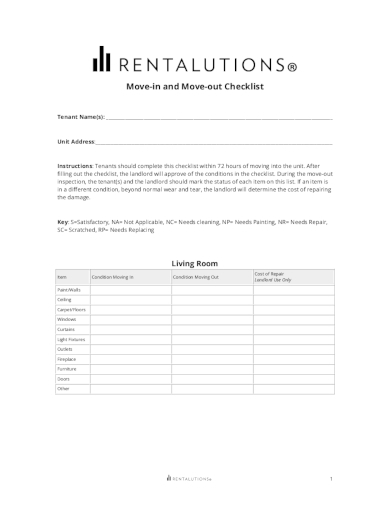 Here is a rental move-in and move-out checklist that comes with a useful guide that will help you in the entire rental processes and tenant turnovers. 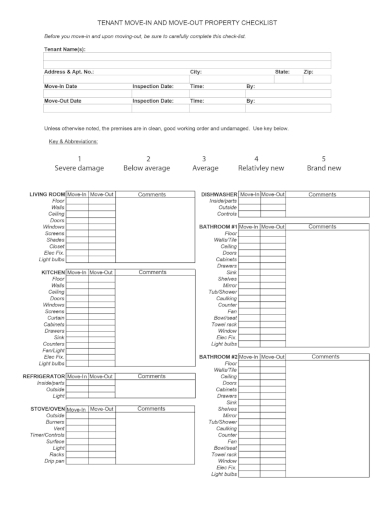 With the use of this checklist and guide, you will be able to set the appropriate safeguards at the very start of a tenant’s tenancy. This means that both and you and the tenant will be protected and that inevitable issues and matters in the rental process will be dealt with accordingly. Being a landlord means that you will be needing reliable documents that both you and your current or even your prospective tenants can confidently trust. On your end, you need a document that will reduce your risks when it comes to liabilities and protects your investments. You will also be needing a document that will help you with any possible disagreements between you and your tenants. On the tenants’ end, they need a document that will help prove themselves free of any blame for the conditions in the rental property that were already there from the start of their tenancy. If the stages of a rental process can be ranked, the moving in and out of tenants will surely be on top. As a landlord, this process will surely leave you exhausted and stressed out with all the things that you need to check. If you are still having this kind of problem after years and years of renting out your properties, then maybe all you were doing was just mentally taking note of the common problem areas and conditions when you should have literally listed them all. Lucky for you because we have provided you with a move-in and move-out checklist that will certainly make groundbreaking changes in the way you manage your rental processes. With all the matters that you need to deal with during the rental processes, it is possible that you will be overlooking the small stuff and even the bigger ones during your walk-through inspections. And with that, we suggest that you should make use of even the simplest move-in and move-out checklist such as the example that we have provided above. Through a checklist, you will avoid charging your tenants for the damages that were already there from the start of their tenancy. 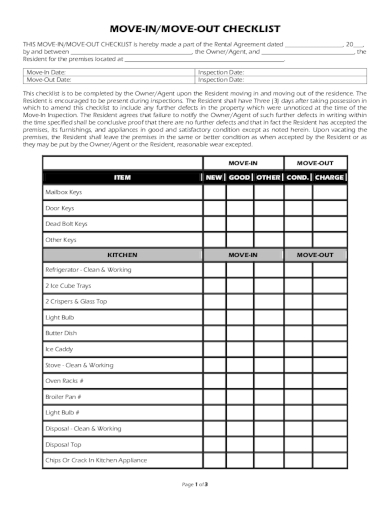 The use of a move-in and move-out checklist is important in order to protect both the tenant’s and the landlord’s interests. On the tenant’s end, the checklist will protect his or her security deposit from getting deducted fraudulently as soon as he or she move outs. On the landlord’s end, the moving checklist will help in making sure that the damages made by the tenant on his or her rental property will be duly paid. 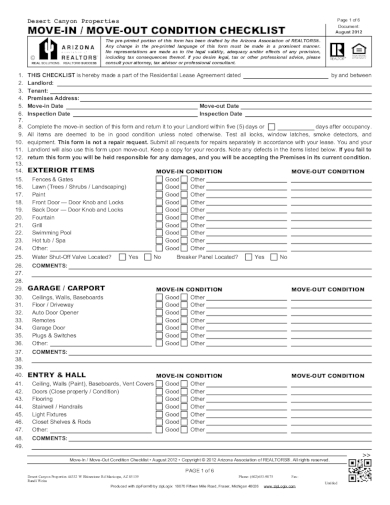 To help you, here is a tenant rental move-in and move-out property checklist that will help you in getting started. 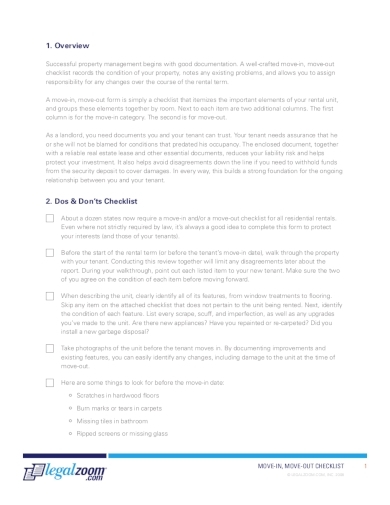 Here is a checklist example that can effectively help and guide you in documenting the condition of your rental property as you walk through. It is important to have this checklist that will serve as a guide before and after your tenants move-in and move-out, respectively, so as to avoid any issues between them particularly in holding them accountable for any damages made and reduce disputes related to security deposits.